Recently two people I work with had an electrical problem in a light twin. Fortunately the electrical failure happened in day VFR conditions and the aircraft had two pilots onboard. The benefits of being day VFR and having two pilots on board cannot be over emphasized. Although a single pilot could have safely handled the problem, being able to share the workload with someone else makes any problem easier to handle. With two pilots working the problem and being in visual meteorological conditions, it was easy for one pilot to fly the aircraft while the other pilot ran the appropriate pilot operating handbook electrical checklist. They were able to return to their home airport without incident. They were landing at an airport with a relatively short runway where they wanted to use flaps. Once they had the runway made, they were able to lower the electrically operated flaps using battery power without any problem. They had left the gear down when they discovered the problem after takeoff from a nearby airport to minimize the electrical drain on the battery. If the electrical system had to fail, it chose the best possible time to fail. Some pilots aren't so lucky. A cursory Internet review of the National Transportation Safety Board's (NTSB) and Federal Aviation Administration's (FAA) accident and incident data bank produced some interesting reading. First, we want to acknowledge that accidents have occurred as a result of electrical problems in flight. We want to emphasize that a serious electrical problem under the worst circumstance can be a potential killer. One such bad situation could be a total electrical failure in a complex, high performance aircraft on a dark and stormy night in instrument meteorological weather conditions over hostile terrain on an instrument flight plan with only one pilot aboard. A pilot who has worked all day, and who is now fatigued trying to get home. Now if you really wanted to make this a difficult situation, add in some snow or freezing rain and the risk factor would go sky high. In such a situation, what would you do? Fortunately, most electrical failures aren't this serious. Although we are discussing general aviation aircraft, history has shown that modern air carrier aircraft can crash under such conditions the same as your typical general aviation aircraft can. We want to emphasize that these kinds of problems can be very serious especially for the unprepared regardless of the type of equipment being flown. However, our non-scientific look at a handful of general aviation electrical related problems that made the NTSB or FAA incident or accident reports were more typical. In many cases the damage to the aircraft was minor or none. The same was true of injury to pilot or passengers. A review of some of the general aviation reports seems to indicate that pilot error in responding to the situation caused more of a problem than the electrical problem. Because many of the reports had little or no damage reported, the narrative of the reports were very brief without a lot of details. 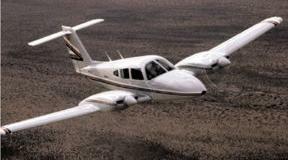 For example, one report about a Cessna 182 stated, "Electrical problem. Overran runway returning. Alternator field wire loose. Struck rwy light." The airport conditions were day VFR. Although no damage was reported, could the private pilot have handled the situation better? We don't know. But the report begs the question of why did the pilot hit the runway light in day, VFR conditions? The following incident is even more common. The narrative said the air taxi "departed alternators off. Drained batteries. Used manual gear. Not locked down. Folded landing." Another report said, "Alternator failed en route. Diverted. In confusion landed gear up." Again, minor damage was done to the aircraft. The question is why did the pilot, a commercial pilot and flight instructor, land gear up? Another pilot while descending from altitude did a "long cruise descent with the engines at a very low power output. He said he was unaware that the aircraft had generators instead of alternators, and that the engine speed he was using for the descent was below the speed required to keep the battery charged." After landing and discharging his passenger, the commercial pilot and flight instructor discovered the aircraft's battery was too low to start the aircraft. The pilot set the brakes and handpropped the twin's right engine. He then tried to use the operating engine to produce enough electrical power to start the twin's left engine. When that idea failed, the pilot got out of the aircraft and tried to handprop the left engine. When the left engine started and went to a high power setting before the pilot could get back into the aircraft, the twin went out of control and started turning in circles eventually striking a fence and a tree with substantial damage to the aircraft. The report listed a probable cause of the incident as, "The pilot's failure to ensure the aircraft was secured prior to attempting an engine start by handpropping." A good recommendation for anyone attempting to start an engine by handpropping it is that a qualified, trained pilot, knowledgeable in handpropping techniques, be in the pilot's seat to safely operate and control the aircraft. Although people have handpropped aircraft engines for decades, it is not without risk. Only trained people should attempt to hand prop an aircraft because handpropping can be dangerous. A rotating prop has the potential to inflict serious or deadly injuries to those who make a mistake while handpropping an aircraft. Of course, the safest option is to have the aircraft's battery replaced or charged and avoid the handpropping completely for those aircraft with an electrical system. In another case there were reasons to suspect a low voltage situation before the flight departed. There had also been a previous electrical discrepancy reported. Then while preparing to land at night, the electrical system failed and the aircraft hit trees during the landing. Later it was discovered that a wire had broken. A common thread in several incidents was the failure of retractable landing gear aircraft to land with all of their wheels down and locked. In some cases because of distraction or stress, the pilot failed to extend the gear. In others, the manual gear extension procedure was not done properly. Adding to the problem is the fact that in a complete electrical failure, for those aircraft with landing gear indicator lights, the lights probably will not be working. Without the lights, the pilot may not realize the gear is not down or not down and locked properly. Adding to the problem is the fact that most retractable gear aircraft have generally high performance and therefore require more pilot attention to fly them. Since aircraft electrical problems can occur at any time, we want to review the major differences between aircraft electrical systems in your typical general aviation aircraft. For our readers with little knowledge of aircraft electrical systems, we want to provide a very brief discussion on your typical general aviation (GA) aircraft's electrical system. First, modern piston-powered GA aircraft have two totally separate electrical systems. One engine-driven, self-contained system provides the electrical power for the ignition system needed to keep the engine running once it starts. This system is based upon a self-contained magneto electrical generating system that can keep the engine running whether or not the aircraft has any other type of electrical system onboard. For those not familiar with a typical general aviation piston-powered aircraft, you can compare such an engine's electrical ignition system to that of a typical gasoline powered lawn mower. Although it has a much simpler kind of magneto system, the lawn mower, once you start it by pulling on its starting rope, will continue to run until it is out of gas or it is shut off. The same concept is true of most small GA aircraft engines. This is why older aircraft such as the classic Piper Cub can fly without any other onboard electrical system. To start a Cub, just like a gas lawn mower, the J-3's engine must be rotated fast enough to start running. Someone normally does this by rapidly turning the propeller until the engine starts. Hence the term, "handpropping." The fact that a piston-powered aircraft can be started by rapidly turning its propeller when the magneto switch is turned on and the fuel is on is why anyone working or standing around a propeller is always warned to stay out of the propeller's arc when handling or turning the propeller. The engine could inadvertently start and the rotating propeller could injure or kill anyone within its rotational plane. Although the magneto switch in the off-position is designed to prevent the engine from starting by grounding the output of the magneto, a defective switch or a loose magneto grounding wire could allow the engine to inadvertently start if the propeller is turned rapidly enough and there is enough fuel for the engine to start. Although the magneto system can pose a potential safety problem for those turning the propeller, its biggest advantage is that it provides an independent electrical system to keep the aircraft running until the magneto system itself fails or the fuel is exhausted or the engine stops running. To reduce the probability of a magneto failure, modern piston engines have dual or two separate magneto systems firing two separate spark plugs in each cylinder. Although both systems are normally used together, in the case of a magneto failure, one system is adequate to fly the aircraft to an airport where repairs can be made to the broken system. The important thing to remember is that a piston-powered aircraft engine does not need an alternator- or generator-based electrical system or battery to fly. This is an important safety point. As part of your preflight briefing to your passengers, you may want to remind your non-aviator passengers that if they hear you say, "We have lost our electrical system," the aircraft will continue to safely fly and not fall out of the sky. This briefing is not required in those aircraft without an electrical system onboard. Better yet, use your preflight check as a way to educate your passengers about how your aircraft operates and important safety issues such as propeller safety. We may have a problem communicating and navigating. But there are safe operating FAA rules for that eventuality too. If you are in VFR conditions, you stay in them. If you are in IFR conditions, you follow the rules outlined in FAR §91.185. So read on. Then why have an alternator or generator and battery in an aircraft. There are many reasons. The most important is pilots are like the drivers of the early automobiles. Most pilots don't want to hand start (commonly called handpropping) their engine. It is potentially dangerous, and it is nasty to do in the rain or snow. It is also nice, but not required, to have two qualified people to do it. One trained person doing the handpropping and one in the aircraft operating the controls (preferably another pilot). So like automobiles, GA aircraft started being manufactured with electrical starters in them. This required not only a starter, but some means of powering it. All of which lead to the need for some type of battery to provide the necessary stored electrical power, a means of keeping the battery fully charged, and a means of regulating the charging process. Voila, the first aircraft electrical system based upon a battery, a generator, and the all important electrical starter. Once you had an electrical system, it was easy to add all of the radios, navigational, and electrical equipment we now have in modern aircraft. But generators have a slight problem. They like a minimum rotational speed to produce a specified amount of electrical power. Too slow a speed and the output drops. If you want to make sure the battery is being charged, you have to operate the engine faster. This is normally not a problem in flight, but if you are number 25 waiting for takeoff, it can become a problem on the ground. Or like the pilot listed in one of the accident/incident reports who noted how his long, low-powered glide caused him problems with his generator equipped aircraft. Generators are also somewhat heavier than what has replaced most of them: The Alternator. Enter the alternator; a different way to make power. Again, like in cars, as electronics and technology advanced, so did the way to produce power. Today, instead of a generator, cars and new aircraft normally have alternators in them. The main benefit of the alternator is that it can produce a specified amount of power at a much lower rotational speed than a generator. An alternator also operates differently. It produces alternating current that is then rectified or converted into direct current for use in most piston-powered GA aircraft. An alternator is normally lighter in weight than a comparable generator. All of which provides important advantages to the aircraft manufacturer and pilot. Better output at lower revolutions per minute at a lessor weight not only improves efficiency, but it also improves the useful load of the aircraft by a small amount. So how do you know which one is in your aircraft? The best way is to read the pilot's operating handbook. Reading the handbook does several important things. First it allows you to hanger fly with the best of pilots. You can also join any argument about the type of electrical system in your aircraft. Plus when you have a problem you can talk intelligently with your maintenance technician. But the most important reason for reading your operating manual or aircraft flight manual (AFM) is to learn how to identify and possibly handle any electrical problem in flight. Electrical problems need to be handled correctly and promptly because they could cause an onboard electrical fire, damage other electrical gear, or cause problems with other systems. Another reason is once you understand the electrical system in your aircraft or the aircraft you fly, you can make important decisions about what you are going to do in case you have a generator or alternator failure. For example, by knowing and understanding your electrical system, you may decide to continue your flight by turning off non-critical electrical items such as your second radio and other redundant electrical gear or start looking for the nearest airport to land. Equally important is knowing critical flight data such as what to do if you have electrically operated flaps or gear. More than one pilot has put him- or herself in a "box" with no way out by making the wrong decision during a "minor" incident or problem. Putting electrically operated flaps down early and not having the electrical power to raise them may mean having to fly with increased drag or minimal lift during a go around or while having to divert to another airport. The same may be said of electrically operated landing gear. Although in some aircraft the increased drag produced by the lowered landing gear may be worth the drag penalty considering the potential problems later of having to either manually lower them or forgetting to lower them. Or if the pilot is in the clouds, the pilot may decide that being able to talk and navigate is the most important use of any remaining battery power. Because each flight is unique and the needs of each pilot is unique, it is hard to say which electrical devices should remain on and which devices should be turned off. This is why it is important that each pilot review his or her aircraft's electrical system and know and understand it to the point where the pilot can make the best decision about the aircraft's electrical system before the loss of the generator (or is it an alternator?) becomes critical to flight safety. Knowledge is power (pun intended). And if your aircraft has electrically operated retractable landing gear? Please remember that you still have to lower the gear before your next landing, so you just may want to review your aircraft's emergency gear operating procedure before your next takeoff. Have a great season of flying.